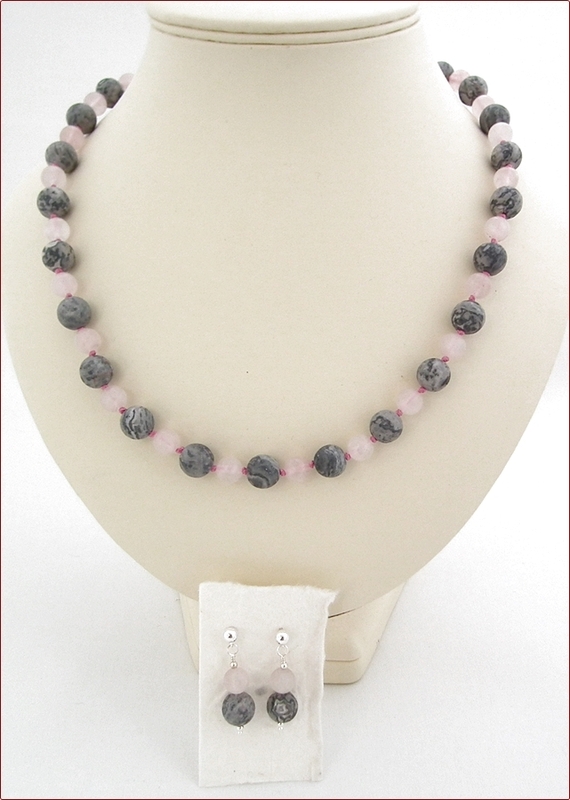 This necklace and earrings set is titled after a Caravan album - I'm revealing my esoteric prog rock roots here! 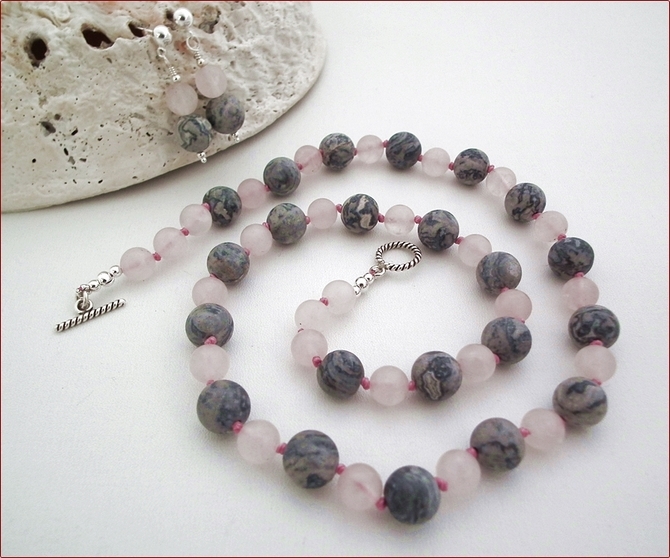 The necklace is unusual matt grey Picasso Jasper (10mm) knotted with matt rose quartz (8mm). 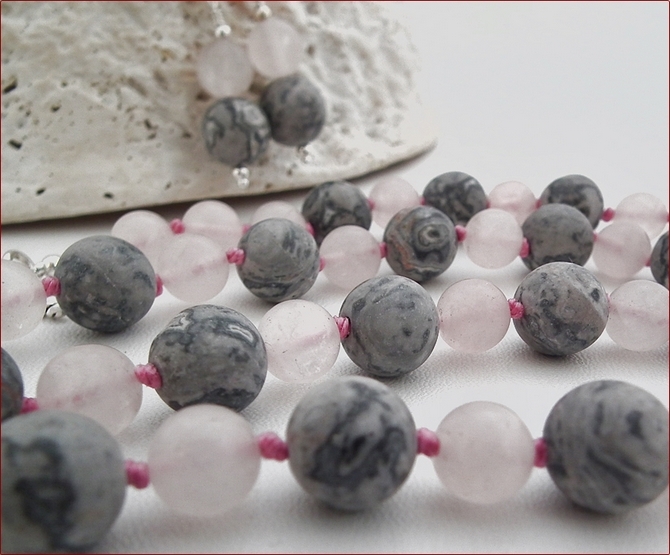 I've used a bright pink cord to bring out the pink of the quartz which always appears quite pale, unless dyed of course. 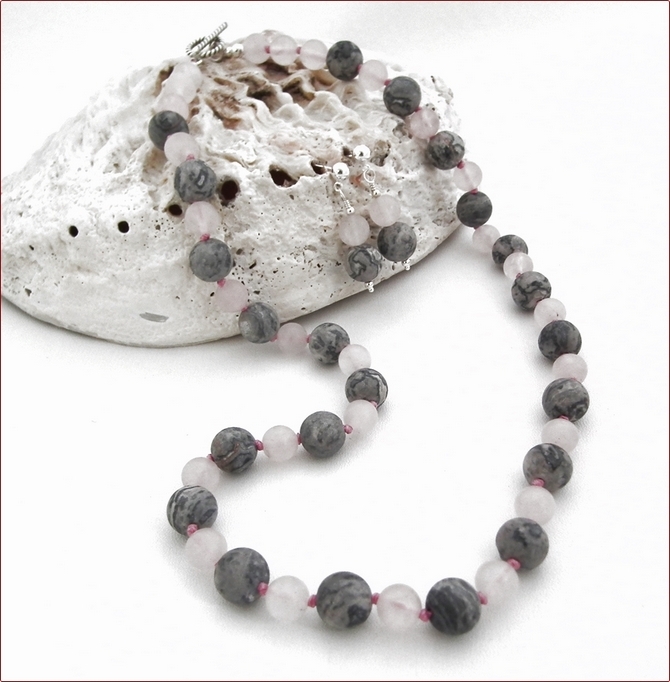 The necklace is 21" (545mm) long, fastening with a Bali sterling silver twisted wire toggle clasp. All the metal pieces are sterling silver, including the earstuds for the matching earrings. 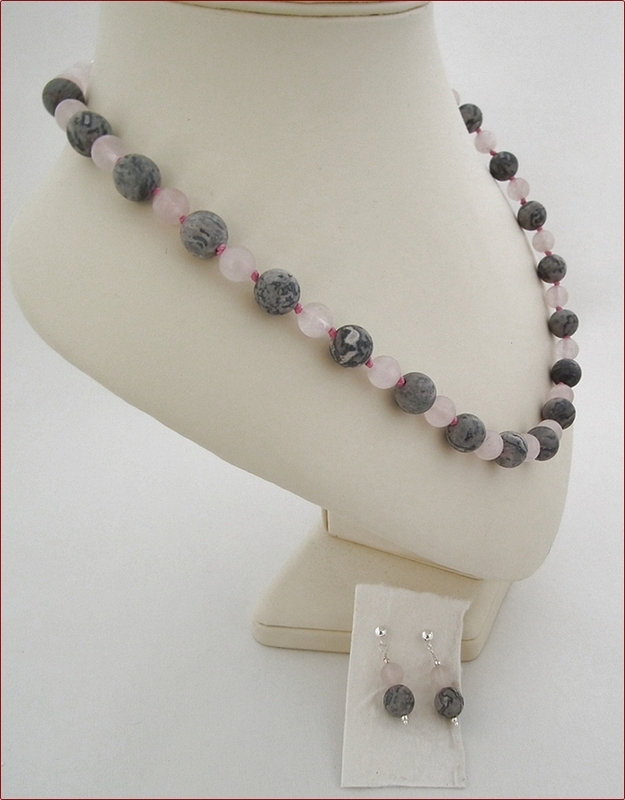 This is a very wearable jewellery set that you will find yourself wearing over and over again - it will go with so many outfits!